Chicagoans, like Parisians, live for the opportunity to dine dehors (outside). 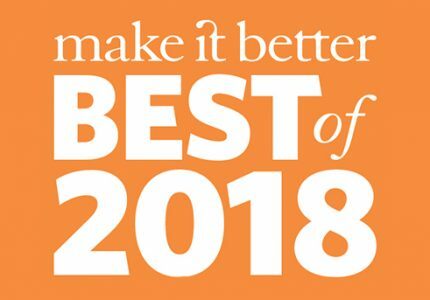 Last year, the Waldorf Astoria, 11 E. Walton, welcomed James Beard Award Winner Michael Mina to overhaul their restaurant. They created a 1920’s inspired Parisian Brasserie named Margeaux Brasserie. Wanting to offer a more casual daytime option, Petit Margeaux was launched as an extension of the first restaurant, featuring casual French fare such as tartines (open faced sandwiches), salads, and charcuterie boards, as well as more premium items such as shellfish towers, which are only available during the evening. Petit Margeaux features a special apéritif The Balsam Magnolia, an amaro based cocktail with notes of meyer lemon, magnolia, and chamomile, in addition to champagne and wine selections. Le premier mai , or France’s Labor Day coincided with the opening of the terrace at Petit Margeaux. 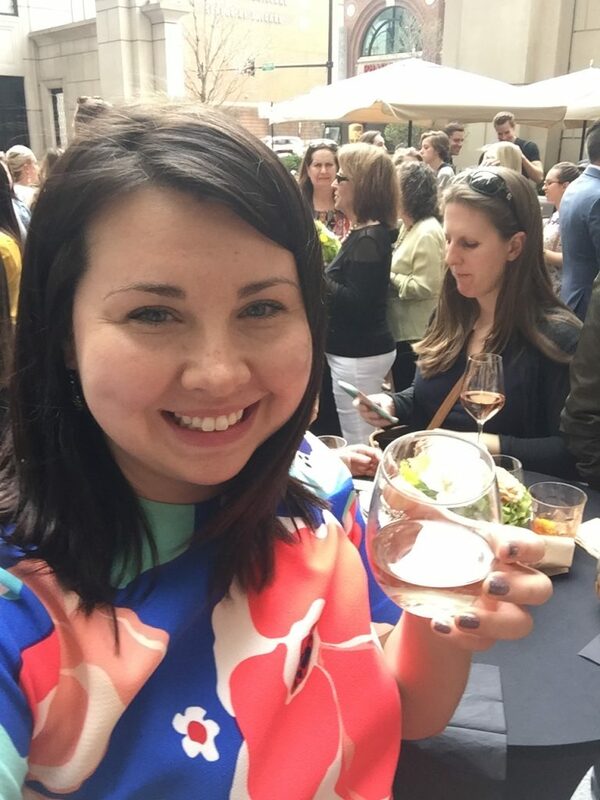 With beautiful, sunny, warm weather upon us, it only seemed natural that the Waldorf Astoria would throw a patio party to celebrate the opening! 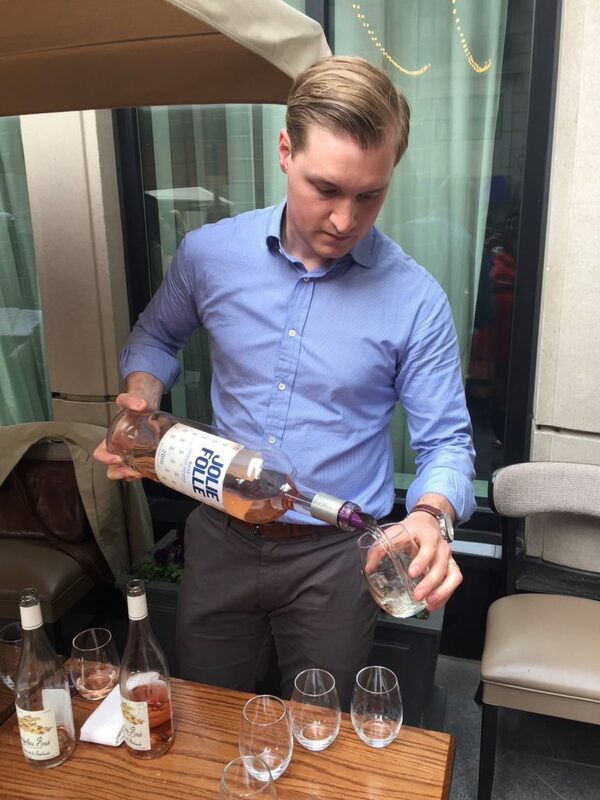 With several French rosés, and Aperol Spritz on tap, members of the Oak Street Council, Gold Coast community, and francophiles gathered on the terrace at Petit Margeaux to feast on authentic french cheeses and charcuterie, tartelettes, and macarons. The joyous violin and accordion player set the ambiance, serenading us with songs of Edith Piaf and Gypsy Jazz. 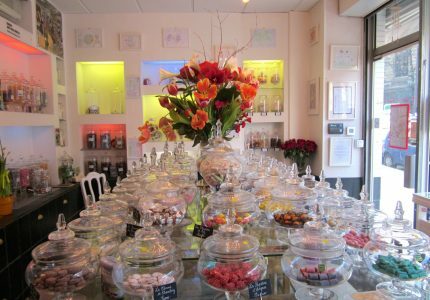 If you didn’t look beyond to the city skyline, between the rosé, French music, and scent of les mugeuts (Lily of the Valley) you truly could have been in France. Make the most of your summer months, and enjoy the french fare available at both Petit Margeaux and Margeaux Brasserie. There’s no better place to practice one’s french than on a patio with rosé in hand. 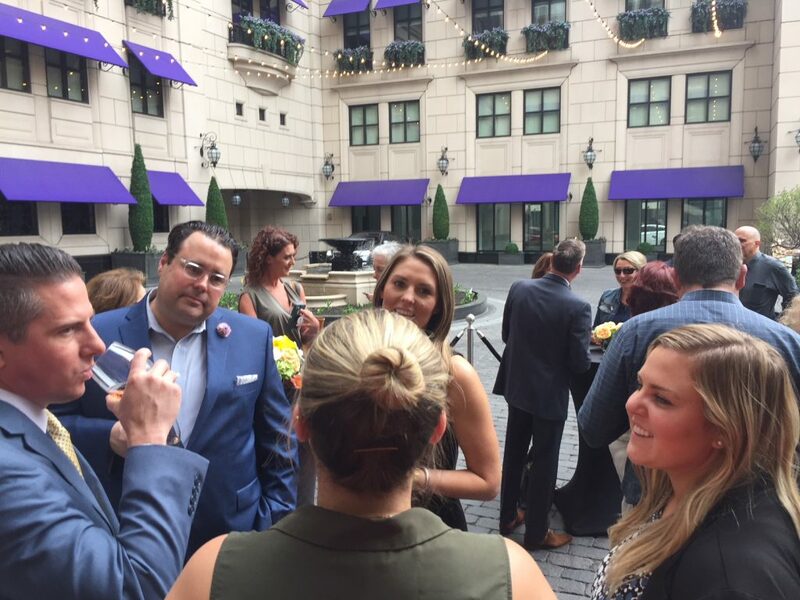 Guests arrive in the courtyard of the Waldorf Astoria Chicago. A magnum sized bottle of rosé went all too quickly! 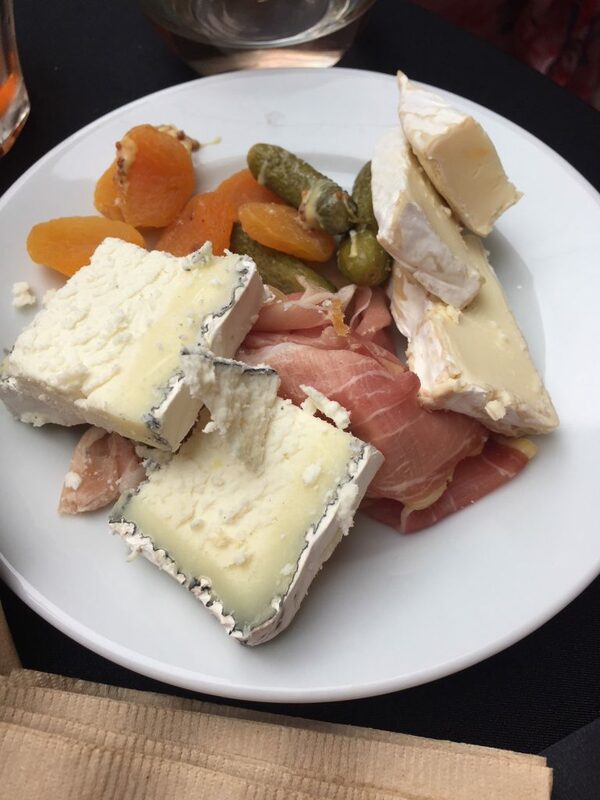 A delicious cheese plate with goat cheese, brie, Bayonne ham, cornichon, and apricots. 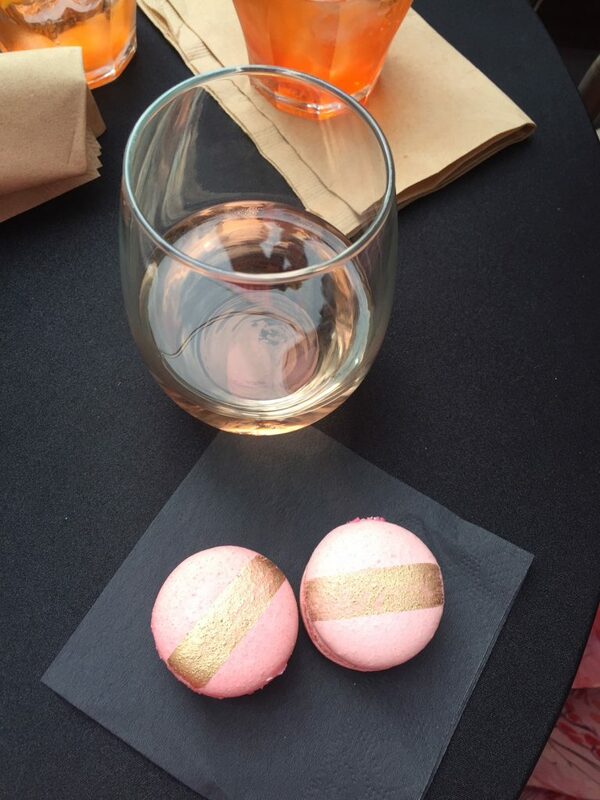 Delicious raspberry cream macarons paired with rosé. Heather Meindl, Assistant Director of the French Institute of the North Shore enjoying the party!